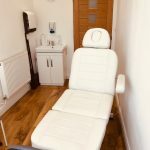 Private treatment rooms are available within all 3 clinics. Please arrive 5 minutes early for your first appointment to allow for a medical form to be completed and bring along a list of any prescription medicines you currently take. Your initial consultation and treatment may take a little longer, please allow 30-40 minutes. Please be advised a Biomechanical Foot Analysis appointment may require the use of a treadmill lower limb assessment, it is advisable to wear loose fitting trousers or bring shorts to change into. We understand that emergencies may occur but ask in order to be respectful of the needs of other patients that you contact Care For Feet promptly to cancel. Late cancellations and ‘no shows‘ will incur a charge up to the full cost of the intended treatment. We understand not everyone will be able to attend a clinical appointment therefore we are able to offer home visits in and around all three Podiatry Clinics; Buxton. Bakewell and Chapel-en-le-Frith. This includes North Derbyshire, Hope Valley and the High Peak area. All of the Podiatrists are CRB (now known as DBS) checked for your reassurance. All clinicians are able to take card payments and cash and provide a receipt. As members of the Health Care Professions Council (HCPC) the Podiatrists at Care For Feet are recognised by most major medical insurance companies including: AVIVA, Cigna, Exeter Family Friendly, Healix, PruHealth, Simplyhealth, Westfield, and WPA. You are advised to check with your insurance company prior to treatment, a number of companies require referral from your GP before treatment. Some insurance companies may require you to pay for your treatment and then claim back the cost, whereas others may allow us to invoice them directly. We suggest you discuss this with your insurer prior to arranging your consultation. The working foot has a lot of demands on it in a normal day and on average we walk 4000 – 6000 steps a day. A recent study found that between 75-85% of adults had some form of foot problem with only half seeking help and advice. 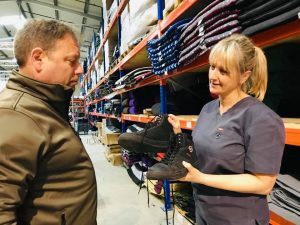 There are 44 million working days lost each year due to back pain, of which a portion can be directly attributed to foot function and inadequate footwear. Any local business, no matter how small can arrange a podiatry visit to assess footwear, prescribe in shoe orthoses, or provide annual or regular in house podiatry treatments. We not only offer a basic nail cutting service, but also corn and hard skin removal, reduction of thickened nails and Diabetic neurological and vascular foot health assessments. We provide complete transparency in our patient treatment records updated at every appointment, these can be filed in each residents care plan at your care home. We offer a competitive discount rate for groups of 6 or more residents seen in one visit. Please contact us on 01298 937921 or 01629 259672 or complete the contact enquiry form for our price list. All of our Podiatrists are CRB (now known as DBS) checked for your reassurance. Personal data shall be processed lawfully, accurately, kept securely and protected from unauthorised access to ensure confidentiality. Paper medical notes are stored in a locked cabinet and shredded after the mandatory period of retention. Secure cloud based clinical software is used for patient notes. A persons’ ‘right to be forgotten’ is not absolute when there is a legal basis for holding data in medical notes. You have the right to prohibit the sharing of information with other members of the healthcare team and consent will always requested unless disclosure is in the public interest or safeguarding concerns.